A tropical oasis in the heart of action. Pattaya Marriott Resort & Spa is a luxury hotel in Pattaya city center that overlooks the beach and is surrounded by lush tropical greenery. The location is so central that guests are just steps away from the Royal Garden Plaza and some of Pattaya’s best shopping and entertainment options. The resort’s attractive design offers a sense of true privacy, space and tranquility that feels a world away from city life. The resort boasts two excellent restaurants, two bars, and a large swimming pool with whirlpool, tennis courts, an extensive health club, and the Royal Garden Spa. Pattaya Marriott Resort & Spa is near some of Thailand’s best golf courses as well as offering a range of other recreational pursuits including flying, diving, go-karting and horse riding, island excursions and a visit to the renowned Sri Racha Zoo are a must. 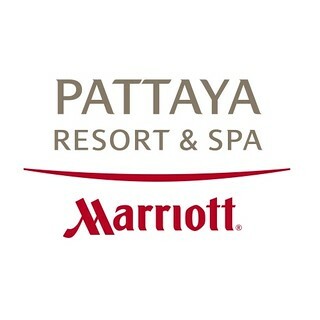 Pattaya Marriott Resort & Spa is the perfect base from which to explore all this and experience real Thai hospitality. With some of Thailand’s fanciest clubs and discotheques Pattaya’s nightlife scene is certainly beyond comparison. Golfers of all levels are also well catered for, as the city has a wide selection of golf courses and driving ranges. Adventure activity options in Pattaya are extensive and include sailing, bungee jumping, high ropes tree top courses, climbing, cycling, skydiving, paragliding, go-karting and paintball. The city hosts over 7,800 business events a year and attracts millions of travellers from around the world, especially Singapore, Malaysia, China and Hong Kong. Pattaya offers a large variety of top class MICE resorts and hotels, in addition to new convention and exhibition halls. Pattaya is conveniently situated near Bangkok, just 100 km southeast and only about 1 hour by car or bus from Suvarnabhumi airport. Pattaya attracts more than 1 million MICE travelers per year generating over 90 Billion Baht of revenue, making it Thailand’s second biggest MICE destination.